Thanks to everyone who came out for our Holiday Sale! It was lovely to see each of you and listen to some of your quilting stories! Sometimes, I'm not sure what to say, but nevertheless, I love hearing your stories and about your projects! Did everyone eat enough calories to sustain them to the first of the year? I know I did, and chances are, I may have eaten your calories too! I hope each of you had a lovely holiday weekend and was surrounded by family and friends! It was a quiet week at Creekside Quilting, as far as new items go. We are getting ready for inventory, next Monday, December 3rd, and I held off on orders for the end of November. We will be closed on December 3rd (updating website right now!) due to our inventory. 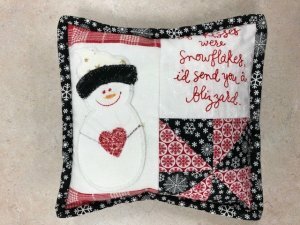 "If kisses were snowflakes, I'd send you a blizzard" pillow is our December Kimberbell Embroidery Club project. To place an order to be in the monthly club, and receive a Creekside Quilting USB for uploading the embroidery patterns, just sign up online or call the store. 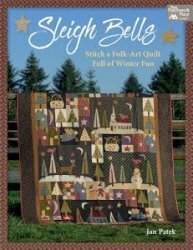 Fabric kits will be available December 1st to those in the Kimberbell Club. 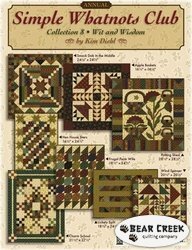 Just ask for it when you come in to download the project onto the Creekside Quilting USB. These blenders are a apart of the Cozy Christmas collection. We have the Farm Sweet Farm collection coming at the end of December and today I ordered the Granny Chic line for end of July! We may have someone to lead a sew along...so let us know if you would be interested in this. Looking forward to seeing these completed Lori Holt projects! Clean, oil, and adjustments are $75. Simple fixes, such as fixing a needle threader or swap out parts are $10 for about 15 minutes of work. Then bench work, that is more extensive starts at $25. Although all payments will go directly through Stevan and not through Creekside Quilting, machines will stay at Creekside to be worked on. November 30th is our UFO Friday Afternoon Club...please sign-up if you have UFO's that need to be finished. November 30th and December 1st is our Holiday Retreat and we are full and have a waiting list started. NEW! Our only December class so come join Barb and I on December 2nd for Beginning Garment Making Class, Schoolhouse Tunic with award winning sewer, Tracy Fieldmann! Come join us in the fun! NEW! 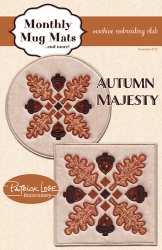 Creekside Quilting will be offering the Patrick Lose Monthly Mini Mats Club starting January 15, 2019! Anyone who wants to participate, will receive a Patrick Lose USB that will be used for 2019 in order to upload the Patrick Lose Monthly Mini Mats monthly designs. Each design has a step by step tutorial and is not embroidery machine specific. The registration cost is $49.99 per year, plus one time cost of $10 for the Patrick Lose USB. We will have kits available each month for purchase to go along with the monthly designs. You may sign up anytime throughout the year. 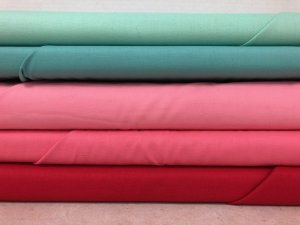 Cuddle Fabrics and Kits (Minkee). Everything in our Cuddle Area will be 35% off, no specific yardage requirements. 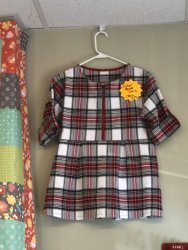 We have both kids and adult fabrics to choose from.